Trainer John Price will wait until closer to raceday before making a final decision whether Wise Hero takes his place at Pakenham. 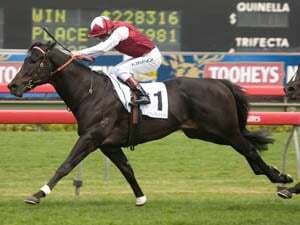 Pierata has snared a life-changing Group One win in the All Aged Stakes with Osborne Bulls second at the elite level for the fourth time this campaign. A switch to waiting tactics paid off big time for The Big Easy on Friday. Red Dawn was yet another horse to take advantage of the new class ratings bands after he bounced back to the winner’s circle for the first time in exactly two years. Unbeaten three-year-old Wise Hero is not certain to chase his second win in eight days with trainer John Price still considering his options. A debut winner at Moe earlier in the month, Wise Hero followed it up with an impressive win at Moonee Valley last week and is an acceptor for the O'Connor Handicap at Pakenham on Saturday. His Moonee Valley win was former West Australian trainer Price's first in the metropolitan area in Victoria. Price said Wise Hero came through Moonee Valley in excellent order but he was still weighing up whether to run him on Saturday or wait another week for a race at Flemington. "It's more than likely he won't run, but I want to see what pans out in the next couple of days," Price said. "It will cover off a few bases and will allow me to get him to the paddock a week earlier if he goes around, but it's most unlikely. "It's not a strong race on Saturday and I dare say the Flemington one will be stronger, but it's a matter of one more race before he goes out and I'm keen for him to go for a break." Price said he had made no plans beyond Wise Hero 's spell. "It all depends on how long a break he has," Price said. "Whether it's a three or four-week break and we keep him ticking over, or whether he has a decent break, we still have to work that out." 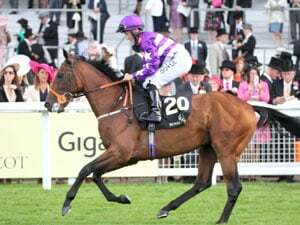 The in-form Price, with three winners from his past five starters, will be represented by Tykiato in the Viatek Handicap (1000m) on Saturday. 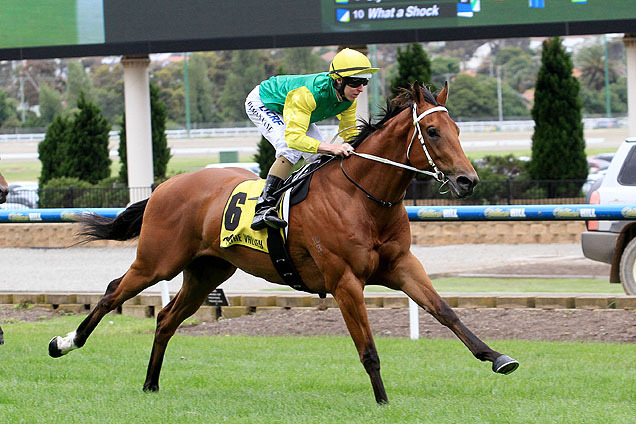 A last-start winner at Mornington in weaker company, she will have to overcome barrier 13 in Saturday's 14-horse field. "She's a good, little, honest, running mare," Price said. "It's a nice race for her as a next step up but she's drawn a bit wide, which isn't ideal." Apprentice Ben Allen has been booked for both Price-trained sprinters. News Talk is designed for debate, discussion regarding the above News story. We welcome you to submit your comments to News Talk relating to this story. Your IP 52.55.186.225 has been recorded for our records. This information is not published. 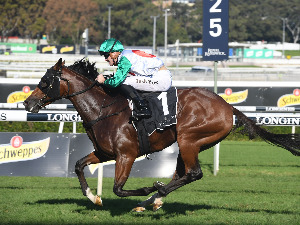 Trainer Richard Litt has claimed his biggest win with Castelvecchio claiming the Group One Champagne Stakes for two-year-olds at Randwick. Godolphin sprinter Trekking has shown his liking for firm ground with victory in the Group Three Hall Mark Stakes at Randwick. Kathy O'Hara has ridden a Group Three double at Randwick on late pick-up Laburnum for Godolphin and the Matthew Smith-trained Grey Lion for OTI. ● She beat the best Aussie had to offer.